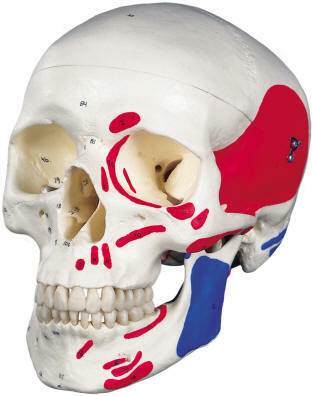 This 3-part skull has been painted to show muscle origins (red) and insertions (blue) on the left side of the skull. 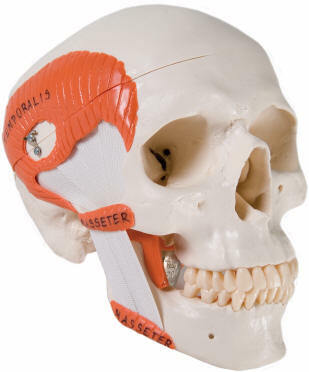 Cranial bones and structures are numbered on the right side The skull identifies over 140 anatomical details. 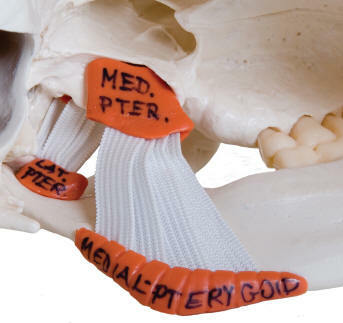 Same features as above, but the jaw opens and closes and there is more detail in the lower jaw. A life size adult skull with seven cervical vertebrae mounted on a stand. The arteries are shown one one side and nerves on the other. 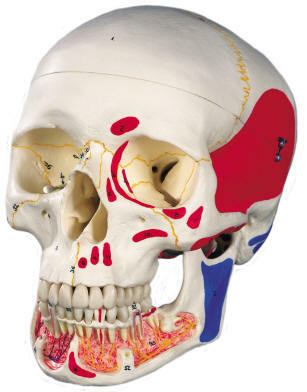 Removing the skull cap exposes the main nerves and arteries on the floor of the cranium. 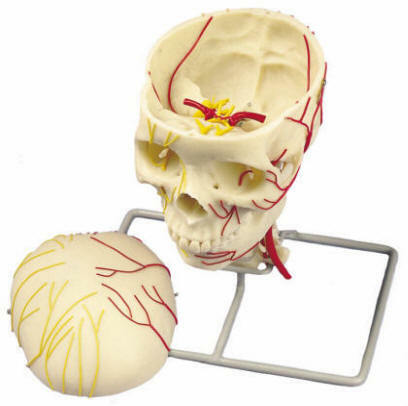 The 12 cranial nerves and the distribution of their branches is also shown.